Submitted by peter on 17 January, 2009 - 08:59. Do you know the proper technique for jump starting a car with a flat battery? Maybe you do, or maybe you think you do. Either way it can't hurt to read this so that there isn't any doubt. First, I'd like to dispel a commonly held misconception that connecting a healthy battery to a flat battery can damage the good battery, or the car that it is in. This is not true. If you do it right it will not cause any harm at all. The other common misconception is that you need to connect the negative terminals first. This is also bogus. In fact, you connect the positive terminals first! Submitted by peter on 30 November, 2008 - 19:35. 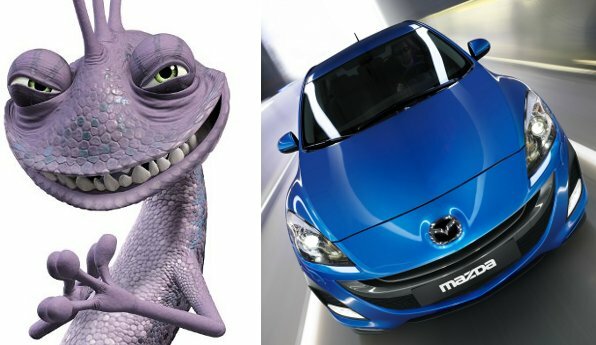 Official images of the 2010 Mazda3 Hatchback have surfaced, and they have been met with mixed reactions. 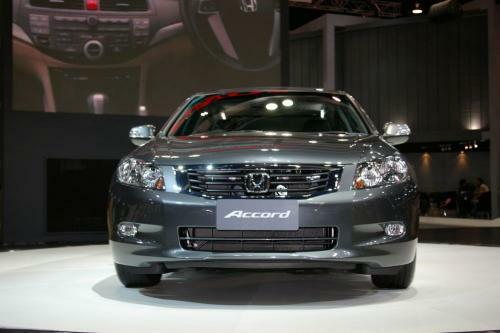 The front end is much the same as the 4-door Mazda3 Sedan that was shown first. So it looks like Randall from Monsters Inc. Submitted by peter on 5 July, 2008 - 13:02. 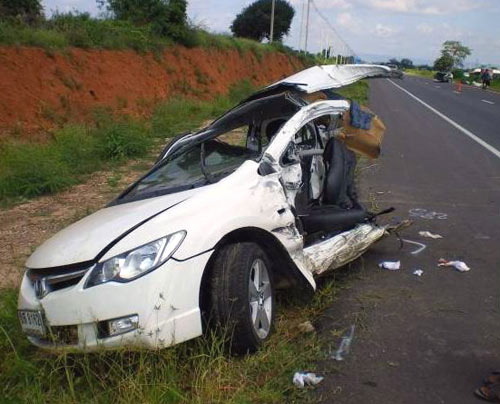 These pictures of a 2005-2008 model Honda Civic are being circulated via email forwards. The car appears to have been cut in half. Noice in the image of the front section of the car, you can see the rear section of the car resting about 20-30 metres away. Submitted by peter on 22 March, 2008 - 14:04. Even with this super cool airbag to protect my neck, I'd still be too chicken to ride a motorbike. Four wheels are good for me. Submitted by peter on 22 March, 2008 - 13:40. You might not remember the name Kanpithak Patchimsawat. You might not know his other title "Mu Ham" either. But if you have been following Thai news in the last year you will remember the story of a crazy kid who had a fight with a bus driver, hit him in the face with a brick, and then got back into his Mercedes and drove it into the people who had just got out of the bus he was involved in an accident with. He killed one and injured several other people in that incident. He deliberately drove his car into a group of people and killed one of them! Submitted by peter on 17 February, 2008 - 09:13. Mazda have completed their BT-50 bio-diesel B2 and B5 test and have posted a press release which declares the success of the test. I have included the full press release below, but I would like to point out a few things that had me wondering. Submitted by peter on 20 January, 2008 - 15:56. Usually, I try not to post up articles that don't have anything to do with Thailand, but this one is just too interesting to pass up. This story on CarScoop about a line of cars that have been stitched together, and even into the road, is very weird. 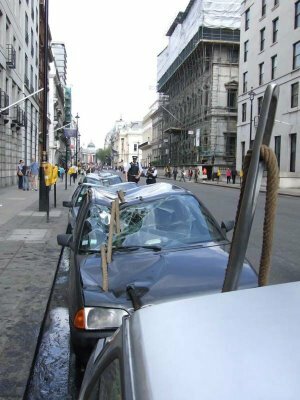 Although it's hard to imagine how this was done, the question I would ask is: What is the point of this? Chevrolet Optra Servicing Costs - Again! Submitted by peter on 6 January, 2008 - 21:00. 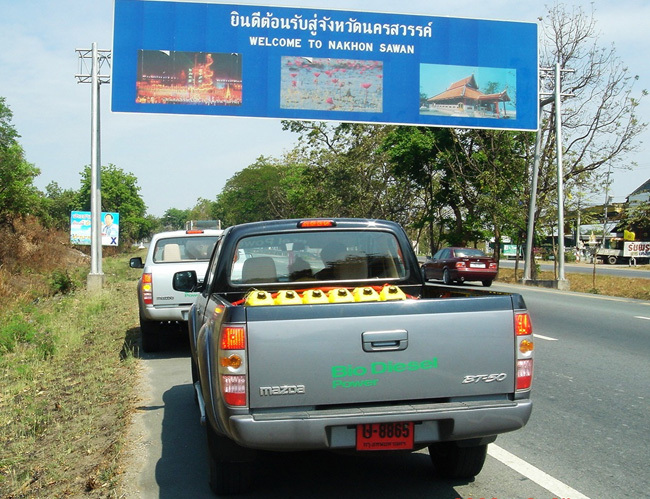 If you read my recent post about Chevrolet servicing pricing being all over the place, with a difference of THB 7,000 quoted between two dealers within 5 km of each other, you might be interested in this follow-up. Chevrolet Service Centre - Shock Price Difference! Submitted by peter on 5 January, 2008 - 14:40. Chevrolet owners in Bangkok: Shop around for your servicing!! 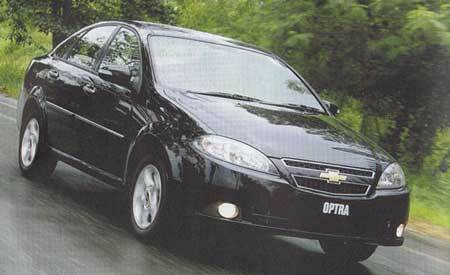 Today we took our Chevrolet Optra to the Chevrolet Dealership on Ram Intra road, the one next to Foodland. The car was up for its 60,000 km service and since the Optra needs a new timing belt at this interval the quote for the service was approximately THB 10,000. This didn't surprise me, although it is an insane amount of money for servicing on a car of this class, because the dealer had given me a heads up at 50,000 km that it would be around THB 10,000 at 60k. Although the money didn't put me off, the time did. They needed all day with the car, and I wasn't prepared to be without it that long, so we decided to check out some other Chevrolet Service Centres. First my wife called the dealer on Nawamin Rd. They quoted approximately THB 8,000 for the service. Surprised at the THB 2,000 difference we checked out one other Service Center, the one on Ladprao Soi 101. This time, I was even more surprised at the figure quoted: THB 15,000!! Submitted by peter on 12 November, 2007 - 15:07. CarScoop have done some homework and produced a price list by country for the Nissan 350Z, highlighting some ridiculous extremes. The Nissan 350Z can be yours for just US$19,070 in the US. That's around THB 600,000! In Thailand the 350Z starts at THB 4,950,000 or US$157,300. Would you feel comfortable paying eight-times more than you should really have to?